the FCAC houses at Kingston (now demolished) were finished in white and the houses at Braddon remained red brick. 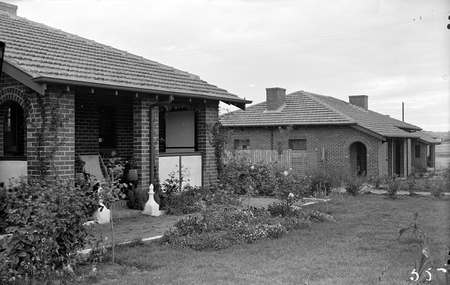 These three houses are also visible as the bottom three houses in the aerial photograph with the National Archives barcode 3117662 (Image no. : A3560, 1151) This photo is consistent with the aerial photograph in that there are no houses past no.67 in Elimatta St.